Oppositional Defiant Disorder is also known as ODD. Learn about symptoms of ODD and Oppositional Defiant Disorder treatment options. 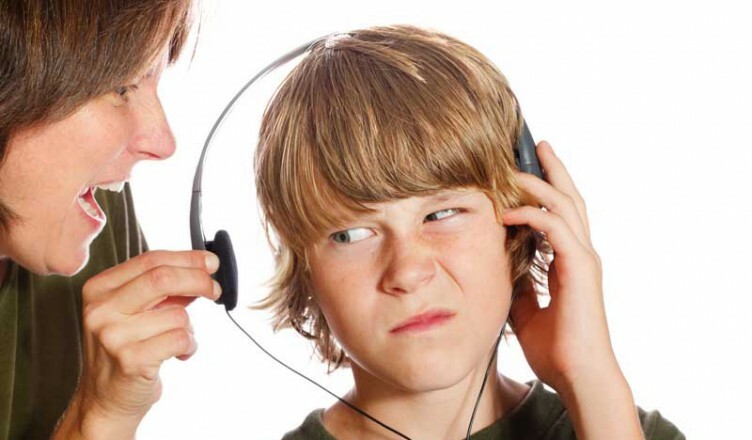 Does your child/teen constantly defy your, or another adult’s, authority? Does the child refuse to do most things that an authority figure tells him/her to do? Does he/she question or argue over every rule? Does the child often act vengeful and blame others for things that he/she did? This type of behavior, if consistent and outside the range of normal behavior for the age, can be a sign of Oppositional Defiant Disorder. ODD symptoms can be different in each child and not all symptoms may occur, or some may be more severe than others. Many of these behaviors are normal at different stages of a child’s development. Parents should pay attention to the severity of the behavior, how many months it continues, and if the behavior is similar to that of peers that are at the same age and developmental stage. ODD is diagnosed by a mental health professional. The professional will talk with and observe the child and will likely ask for detailed records of his/her behavior for at least 6 months. Records should be kept by parents and/or other adults that are around the child on a regular basis. A thorough evaluation should be conducted to determine if other accompanying disorders co-exist in the child/teen. Other common mental health disorders that often coexist with ODD include: attention-deficit/hyperactivity disorder (ADHD), mood disorders, and anxiety disorders. Some things that will be considered include the severity and duration of ODD symptoms, a comparison of these behaviors to behaviors of peers at a similar age and developmental level, and environmental factors that may be causing and/or contributing to the troubling behavior. There is no simple test that can be performed to immediately determine whether a child is suffering from a Oppositional Defiant Disorder. If you feel that your child may be suffering from ODD keep detailed records of their behavior in any situation where there seems to be persistent problems. Pay particular attention to times that he/she seems to be displaying vengeful behaviors, is blaming others for things he/she obviously did, and times that he/she argues over rules or refuses to do things an adult has requested or instructed him/her to do. If you are not able to observe your child in other settings where they given instructions by an authority figure talk to their teachers or other individuals that are dealing with your child to see if they have noticed any abnormal behavior. ODD can be present in only one circumstance, most often the home – where the child feels the most comfortable, but more severe cases often carry-over into other settings in which an authority figure is setting rules or instructing the child on his/her behavior. Early detection and treatment of ODD is critical. While there is no cure for Oppositional Defiant Disorder, improving communication skills and teaching self-management techniques that help the child recognize and implement cognitive problem-solving skills that keep them in control of their thoughts and actions can provide a great deal of help and relief from the symptoms. Because environmental factors, especially parenting styles, are thought to be a major contributing factor to ODD the most effective treatment will involve parent training and interactive therapy between the child and parent(s). A big part of ODD therapy includes positive reinforcement of good behaviors and the parent learning to control his/her own reactions to and interactions with the child when a problem occurs. There is no medication that has shown to help with ODD but medication may be prescribed to help with a co-existing disorder. Undiagnosed cases, or cases where the family or individual does not receive treatment, will likely result in a lifelong struggle with ODD. Untreated Oppositional Defiant Disorder may develop into Conduct Disorder, which can have very serious effects on the life of the individual and those around him/her. As with any mental disorder, seeking the help of a professional will help with controlling symptoms and managing the disorder in the most effective way.